Death by suicide is always a tragic event. It can trigger a host of complicated and confusing emotions. 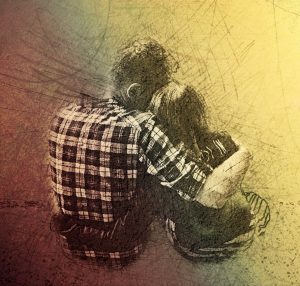 Whether you are coping with the loss of a loved one, or are helping a child or adult navigate such a loss, these tools from the American Psychological Association can help. Accept your emotions. You might expect to feel grief and despair, but other common feelings include shock, denial, guilt, shame, anger, confusion, anxiety, loneliness and even, in some cases, relief. Those feelings are normal, and can vary throughout the healing process. Don’t worry about what you “should” feel or do. There’s no standard timeline for grieving, and no single right way to cope. Focus on what you need, and accept that others’ paths might be different from yours. Care for yourself. Do your best to get enough sleep and eat regular, healthy meals. Taking care of your physical self can improve your mood and give you the strength to cope. Draw on existing support systems. Accept help from those who have been supports in the past, including your family, your friends or members of your faith-based community. Talk to someone. There is often stigma around suicide, and many loss survivors suffer in silence. Speaking about your feelings can help. Join a group. Support groups can help you process your emotions alongside others who are experiencing similar feelings. People who don’t think of themselves as support group types are often surprised by how helpful such groups can be. Talk to a professional. Psychologists and other mental health professionals can help you express and manage your feelings and find healthy coping tools. Parents, teachers, school administrators and other adults in a child’s life often feel unprepared to help a young person cope with a death by suicide. These strategies can help you foster open dialogue and offer support. Deal with your own feelings first. Pause to reflect on and manage your own emotions so you can speak calmly to the child or children in your life. Be honest. Don’t dwell on details of the act itself, but don’t hide the truth. Use age-appropriate language to discuss the death with children. Validate feelings. Help the child put names to her emotions: “It sounds like you’re angry,” or “I hear you blaming yourself, but this is not your fault.” Acknowledge and normalize the child’s feelings. Share your own feelings, too, explaining that while each person’s feelings are different, it’s okay to experience a range of emotions. Avoid rumors. Don’t gossip or speculate about the reasons for the suicide. Instead, when talking to a child or teen, emphasize that the person who died was struggling and thinking differently from most people. Tailor your support. Everyone grieves at his or her own pace and in his or her own way. Some people might need privacy as they work through their feelings. Respect their privacy, but check in regularly to let them know they don’t have to grieve alone. Other children might want someone to talk to more often. Still others prefer to process their feelings through art or music. Ask the child how they’d like you to help. Let them know it’s okay to just be together. Extend the conversation. Use this opportunity to reach out to others who might be suffering. Ask children: How can you and your peers help support each other? Who else can you reach out to for help? What can you do if you’re struggling with difficult emotions? Handle the announcement with care. Schools should not report the cause of a death as suicide if the information hasn’t been released by the family or reported in the media. When discussing a student’s death by suicide, avoid making announcements over the public address system. It’s helpful if teachers read the same announcement to each classroom, so that students know everyone is getting the same information. Identify students who need more support. These can include friends of a student who died by suicide, those who were in clubs or on teams with the deceased, and those who are dealing with life stressors similar to the stressors experienced by the deceased. Less obviously, peers who had unfriendly relationships with the deceased – including those who teased or bullied the deceased or were bullied by the deceased. These students may also have complicated feelings of guilt and regret that require extra support. Prevent imitation. Researchers have found news stories that use graphic language, sensationalize the death or explicitly describe the method of suicide can increase the risk of additional deaths by suicide. When talking to children, avoid graphic details and focus instead on hope, healing and the value of the person when they were alive. Minimize positive attention. Dedicating special events to the deceased can make him or her seem like a celebrity. Vulnerable children might see such attention and think suicide is a way to be noticed. Instead of memorials, consider acknowledging the death through events such as suicide awareness walks or campaigns. Choose words carefully. To protect peers who may also have suicidal thoughts, avoid phrases such as “She’s no longer suffering,” or “He’s in a better place.” Instead focus on positive aspects of the person’s life. Avoid the term “committed suicide,” and instead use died by suicide. Keep the lines of communication open. Help students identify adults they can trust and other resources they can draw on if they struggle with sadness or with their own suicidal feelings. Make sure students know where they can turn for help, not only after this loss, but in the months and years to come. If you or a child in your life is grieving a death by suicide, a psychologist can help you express and manage your feelings and find healthy ways to cope. Clinical psychologists are professionals trained to identify mental, emotional and behavioral problems or challenges and find solutions for handling them. The American Psychological Association gratefully acknowledges psychologists Mary Alvord, PhD, Nadine Kaslow, PhD, Shane Owens, PhD, and Robin Gurwitch, PhD, for their help with this fact sheet. Source: American Psychological Association | Coping After Suicide Loss: Tips for Grieving Adults, Children, and Schools, https://www.apa.org/helpcenter/coping-after-suicide | © 2019 American Psychological Association, reprinted with permission. A screening can help you determine if you or someone you care about should contact a mental health professional. Care Managers can arrange a free 30 minute Care Consultation so you can explore options with an expert. Call or email our Care Managers at 650.688.3625 or caremanager@chconline.org to set up an initial Consultation appointment.